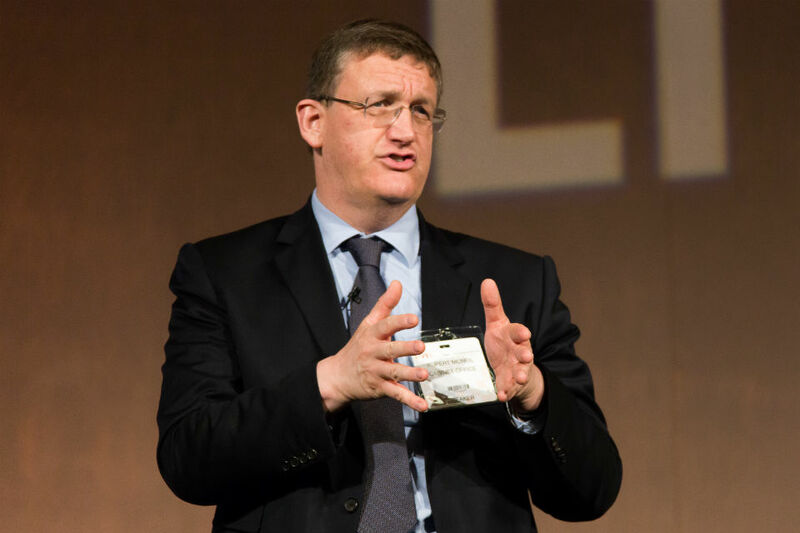 It is impossible to question the ambition, drive and commitment of civil servants in striving to make the Civil Service a more inclusive place to work. Never is that more true than when reading the nominations for the Diversity & Inclusion Awards. I’m very proud to announce that we have released the shortlist for this year’s 10th anniversary awards. You can find them on the Diversity & Inclusion Awards website - congratulations to all those nominated! A team of people from across government reviewed 145 nominations to create a shortlist of just 30 (five for each of the six categories). This year’s collection was so consistently strong and impressive that we had to give them an extra week to finalise their choices. It’s right that in this 10th anniversary year we take time to reflect on the impact that our colleagues make on each other’s working lives – and the efforts that they are prepared to go to, above and beyond the day job. Over the coming weeks, we’ll be hearing from past winners of these awards on what it means to them to have won and what’s happened as a result. In September, a panel of senior judges will come together to choose their winners. Not everyone can win – but it’s important to acknowledge that each of them deserves their nomination. We’ll be making sure that we recognise all of those shortlisted in the autumn. Finally, in mid-October, we’ll be able to announce the winners. We’ll bring together those shortlisted to celebrate the achievements of each and every one before revealing which of them was able to tip the balance for the judges. I’ve no doubt that this will be an awe-inspiring occasion and one that will set the bar for inclusion activity for the rest of the Civil Service. My congratulations to you all. Thank you too – your efforts and achievements are remarkable, and show the progress we are making to the Civil Service becoming the UK’s most inclusive employer. Are there any senior civil servants with a working class background? I apologise for sounding negative, but why do we need awards to say that someone has treated people as people, and not with a tag attached? Diversity should be business as usual, the fact we have to celebrate people doing this says more than any shiny awards dinner. I see these awards as having a number of functions. They raise awareness of minority issues and concerns, and increase visibility. They're a 'thank you' to the people who go out of their way to help others. They remind us that though we strive for it, equality is still something that some sectors of our society do not yet experience. 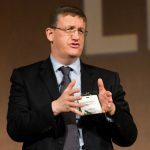 You're absolutely right, Bill, diversity should be business as usual, but in many walks of life it isn't, and it's incumbent on the Civil Service, as a major employer in the UK, to show the way to others. 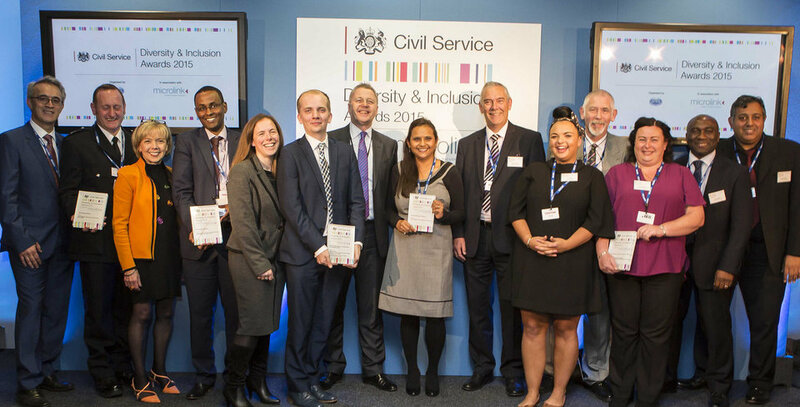 As an Advocate of Diversity and Inclusion, it is great to see the efforts of those colleagues across the Civil Service be acknowledged. In response to Bill, I feel that it is important that we commend those who are trying to make a difference and who have helped increase awareness and understanding within the workplace. Nor withstanding the fact that these roles are in addition to them having demanding full time jobs! True Bill, but it's a start. Unfortunately there is still little understanding about a lot of disabilities and, with regards the differences in the human race, there is still a lot of prejudice out there. Not only the world but sadly within the UK. Inclusion and fairness for all still has a long way to go before it can be considered business as usual but with laws, policies, guidance, determination and the celebration of diversity we will get there.